The corporate salaryman and professional housewife stand as hegemonic archetypes of masculinity and femininity in Japan. However, these rigid gender roles are being challenged by women who are seeking to move beyond the strictly defined confines of their traditional roles as caregivers and homemakers. Through interviews with a range of Japanese women, this book explores how women’s gender roles are both reified and undermined in Japan today, and uncovers the prevalent themes, or ‘discourses’, that are utilized to construct gendered identities. It shows that while dominant discourses formulate notions of femininity within the domestic sphere, these are simultaneously resisted and problematized by contemporary women. To this end, Justin Charlebois traces the construction of different ‘oppositional’ femininities, such as the single career woman and married working mother, which challenge, destabilize, and potentially reconfigure the traditional gender order. 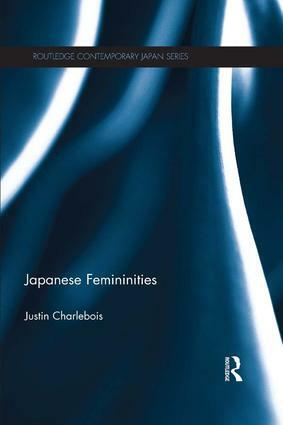 This book makes an important contribution to our understanding of gender roles and femininity in Japan, and as such will be of great interest to students and scholars of Japanese culture and society, gender studies and women's studies.